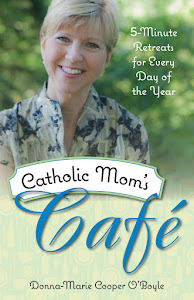 Catholic Mom's Cafe: Win, celebrate, win, celebrate, win! View from the Domestic Church: THE SONG movie debuting SOON! Catholic Mom's Cafe: Create your summer family memories! View from the Domestic Church: My garlic scape pesto sauce! 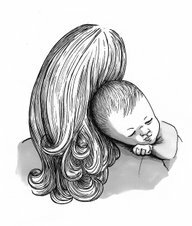 Catholic Mom's Cafe: "Mom-ism Monday # 3! Catholic Mom's Cafe: It's time: Mom-ism Monday # 2! View from the Domestic Church: My top 12 book picks to throw into your summer beach bag! 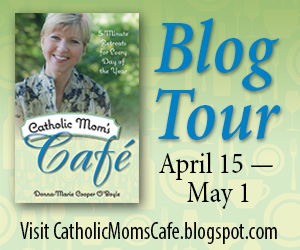 Catholic Mom's Cafe: Celebrate your "Mom-isms! ": An InLinkz Link-up The first link-up will open on Monday, June 16th! Stay tuned! Recent radio chat discussing exciting upcoming events! 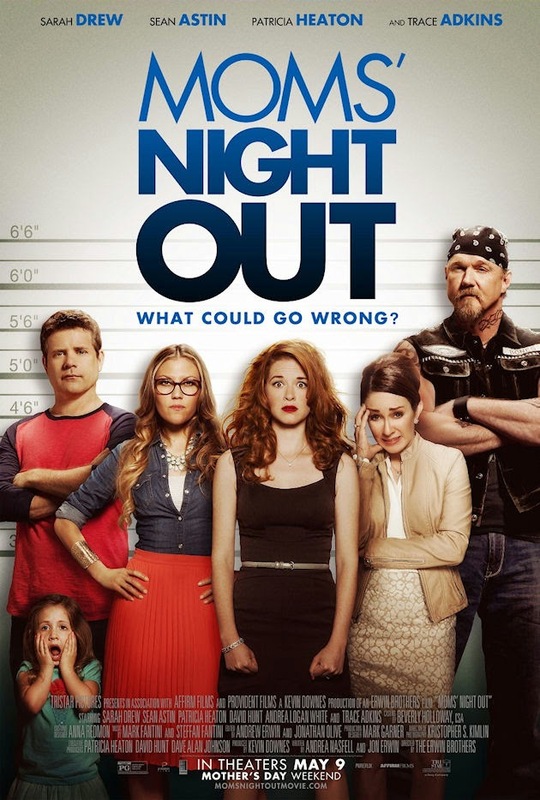 Are you going to go out and see the MOMS' NIGHT OUT movie? I hope so! It's a highly entertaining family movie! 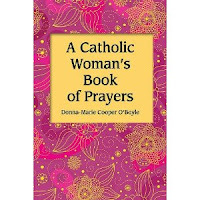 "When I first found out I was pregnant with out first baby I remember a friend telling me about this novena book. I bought it and loved it so much. I took my time with it and would journal in the pages and write little notes. When my husband and I found out that our baby was most likely going to end in a miscarriage we were devastated. However, this little book was an incredible source of grace through that difficult time. 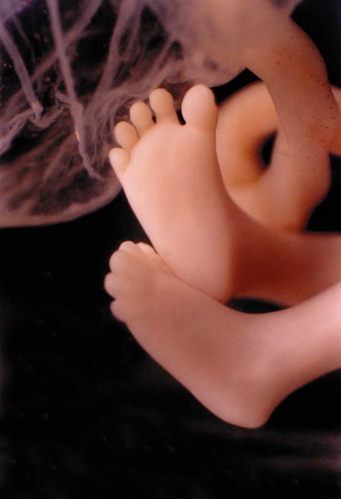 Our first did end up miscarrying. We named him Jack, and even though I only got to month 2 in the book, I can look back on what I wrote and prayed at the time and smile thinking of our precious, but short time with him. We are so happy to know that we are expecting again and I just bought another one to help pray through this baby. 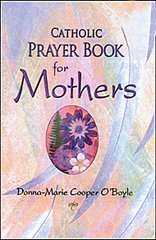 Definitely recommend for any mom who is seeking spiritual strength in this beautiful time in their life." May God bless you, dear Brooke. 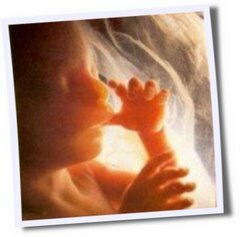 Your baby is a saint in heaven! Please feel free, everyone, to share your pregnancy stories in the comments below and with one another in your daily lives to inspire and encourage. 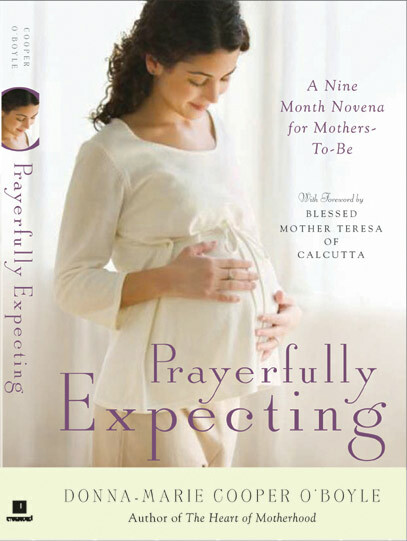 I will soon have a special place again for "Prayerfully Expecting" news. 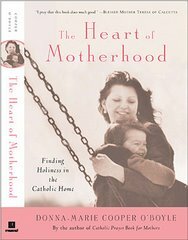 Catholic Mom's Cafe: Prayer is a surge of the heart! View from the Domestic Church: God's timing is impeccable! View from the Domestic Church: My recent EWTN Bookmark appearance! Discussing two of my books on EWTN's Bookmark! 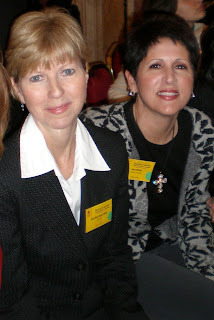 Catholic Mom's Cafe: Appearing on Women of Grace all this week! 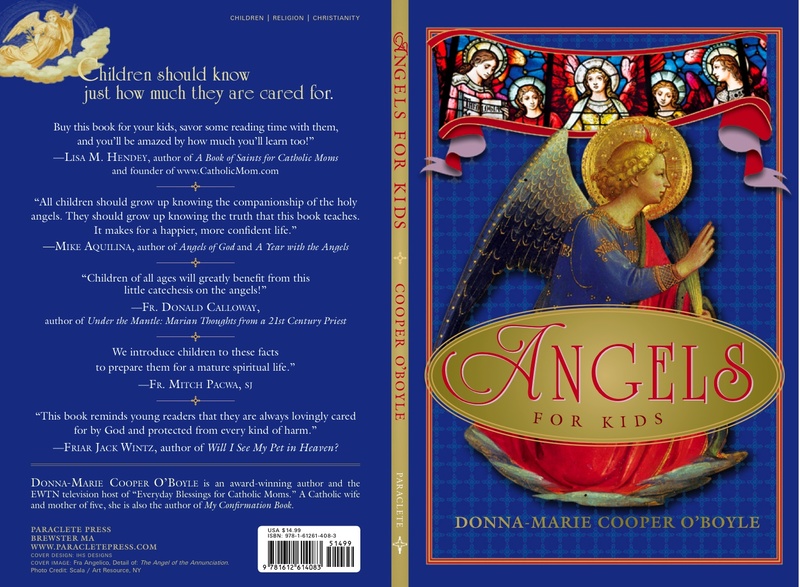 View from the Domestic Church: Angels for Kids! Catholic Mom's Cafe: Delicious gluten-free pizza on the grill! We are ushering out the "old" year and ringing in the new one tomorrow on the feast of our Blessed Mother. 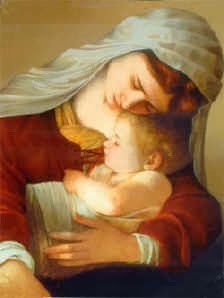 Even adding one extra daily prayer to the Blessed Mother will help to transform your New Year. What are your spiritual resolutions for the New Year? Have you taken a moment to think about it? Why not resolve to pray a Hail Mary every morning at the breakfast table after you pray your Grace Before meals, asking the Blessed Mother to guide your day? As well, starting each day with the Morning Offering is essential. You will be offering all of your prayers, works, joys, and sufferings to Our Lord in advance of your day asking Him to transform all of it into prayers by uniting them to His passion and suffering. 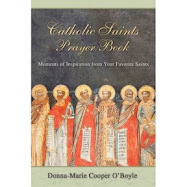 You can pray a simple prayer in your own words or use a formal version. Each one is pleasing to God. 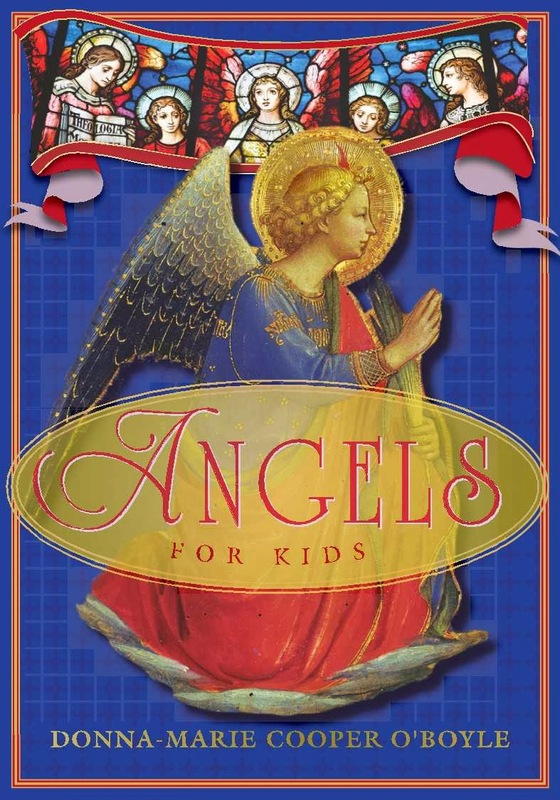 Perhaps you might want to also pray to your Guardian Angel each morning and evening asking for protection and guidance throughout the day and protection through the night. These "prayer habits" require some effort to form, but once you have decided to carve out that essential time for prayer, and then do all you can to make it happen, you'll be off to a wonderful start--weaving prayer throughout your day--keeping that conversation going with your Creator. And, exactly what is prayer? You might wonder. Yes, it's a "surge of the heart" as St. Therese has pointed out. Yet, it is also our decision to use our will which God has given us, to choose to pray. So, form those good prayer habits in the New Year. 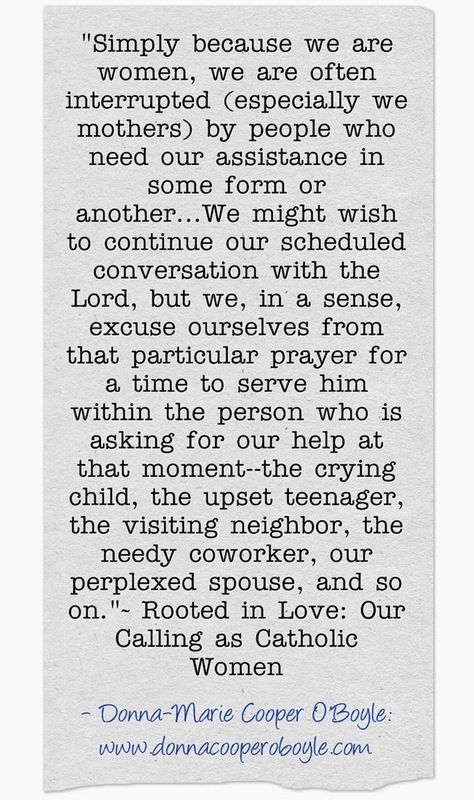 Choose to make prayer happen on a more regular basis. Take a few moments today to ponder leaving the "old" year behind and bringing in the "new." Of course, you'll want to start by attending Mass on the holy day tomorrow (or the vigil Mass tonight). What can you do in the New Year to please Our Lord. What will you do? View from the Domestic Church: Happy feast of the Holy Family! 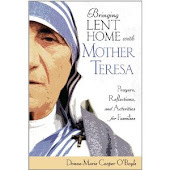 View from the Domestic Church: My daughter's book! View from the Domestic Church: Our Invisible Friends! 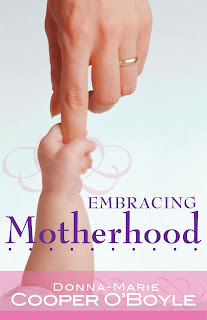 A snippet of my audio version of "Embracing Motherhood." 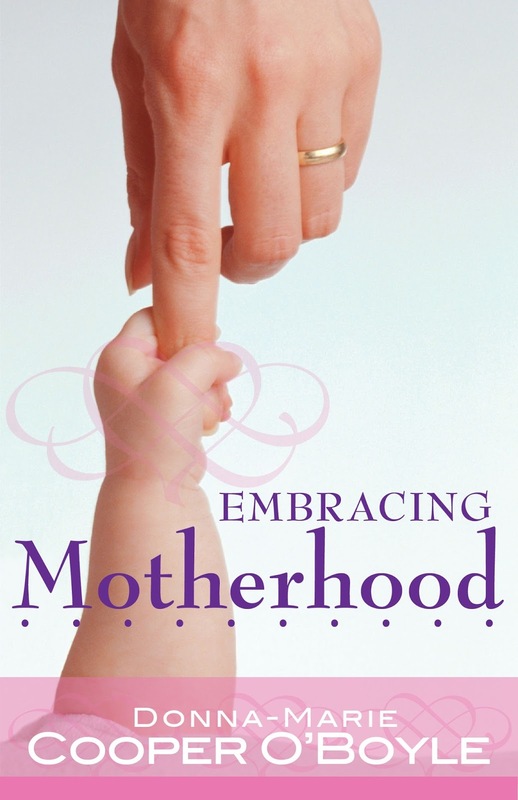 Did you know that you can listen to a part of my book, Embracing Motherhood? I narrated my book to produce an audio version and the publisher and Amazon has provided a portion of it here. It's a part of the Introduction. I hope you enjoy it! Just click on the above link and then click on the "listen" button under the book cover image. View from the Domestic Church: My daughter's happy day! It was a whirlwind of a week end. Here's a photo to start you off with and I will be writing a post very soon. Celebrating my daughter's happiness on her wedding day! 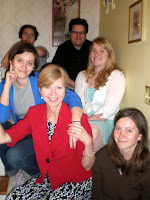 View from the Domestic Church: My daughter is getting married! View from the Domestic Church: A Holy Whirlwind: Pittsburgh and Birmingham! 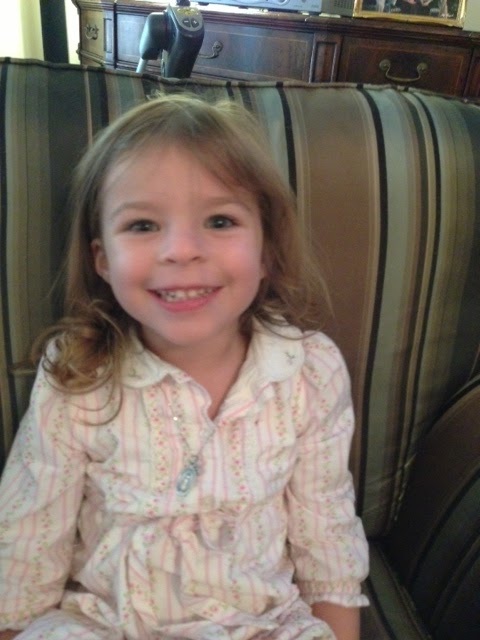 This sweet young lady, named Beth wore a Miraculous Medal to Mass today. 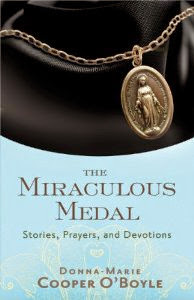 Her mother is reading my book, The Miraculous Medal: Stories, Prayers, and Devotions. Her grandmother sent me this precious photo. Are you wearing a blessed Miraculous Medal? Our Blessed Mother Mary instructed Saint Catherine Laboure that those who wear the medal will receive great graces, especially if they wear it around the neck. The prayer on the medal is: "O, Mary, conceived without sin, pray for us who have recourse to thee." 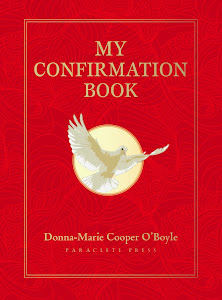 Autographed copies of my book, The Miraculous Medal are available here: www.donnacooperoboyle.com Each order is sent with a blessed Miraculous Medal. May God bless you and yours and may Mother Mary keep you close to her Immaculate Heart! We had a lovely week at home with a happy Adele and lots of fun, family time (minus Daddy throwing his back out). I have a hard time with change and I really like schedules so it was difficult for me to come to the hospital today. Adele started running a fever this afternoon and by around 6 pm it was up to 101.5 which is the magic "go to hospital now, do not pass go" ticket. Because she is neutropenic (no white cells, can't fight infection) if she spikes a fever she has to get antibiotics on board right away. Any little bug can be devastating to her. So, Adele and I headed to our local hospital. Thankfully CMH had called ahead and they sent us straight to a room. Then it was hurry up and wait. Things finally picked up and she got lots of blood drawn to check for infection and she got a chest xray just to rule anything out. The resident has been great so far, she has already popped in to let me know her platelets and hemoglobin are low. She will be getting some red blood cells soon. We are still waiting to hear where her white count is sitting. Adele is getting antibiotics right now to knock out whatever might be going on. She will have to be in the hospital at least two days. 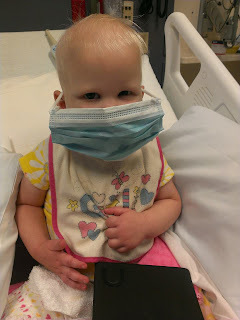 Her discharge requirements are no fever for 48 hrs, negative blood cultures (meaning no infection in her blood) and an ANC (infection fighting ability) of at least 500. There is a possibility that we will be transported to CMH in the next day or so. Adele was due for a clinic appt and her last chemo med on Tues. Wed she is supposed to get a catheter and start stem cell harvest on Wed. Please pray that this is something little and easily overcome. Please pray for Peter to recover quickly, he can barely move right now. Thank you. Jesus, I trust in you. Thank you for this past wonderful week our family had. Please grant Adele complete healing of whatever is causing this fever and of all at/rt present in her body. Please pray for baby Adele and her family. Thank you in advance.